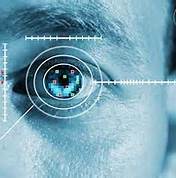 I believe a new system is coming very soon where the identity of all the people in this country will be verified using biometrics; mainly retina identification. No one will be able to do anything without submitting to this scan. Eventually, no one will be able to buy or sell without it. This will come just before the mark of the beast.